Marvel Comics has launched Marvel Unlimited iPad And iPhone App for comic book fans that provides all you can read for a flat monthly fee, and is an extension of the HTML5 Marvel Digital Comics app released last year. The Marvel Unlimited iPad app provides users with access to 13,000 comic back issues, and allows you to manage and add them to your application in a similar way Spotify does for music tracks. The Marvel Unlimited iPad app allows you to store six comics for offline reading, and will automatically synchronise your choice comics across all your devices. 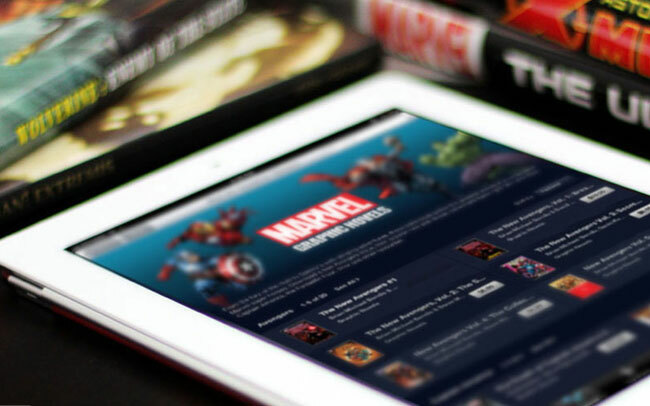 Marvel says that they are currently working on a Marvel Unlimited Android App as well which should launch very soon, and the Marvel Unlimited iPad and iPhone version will be landing in the Apple iTunes store sometime today. Enjoy!